When the prayer memorial ended in Christchurch, Ahmad Khan stood shoulder-to-shoulder with three Maori men in traditional dress as they all stuck out their tongues. 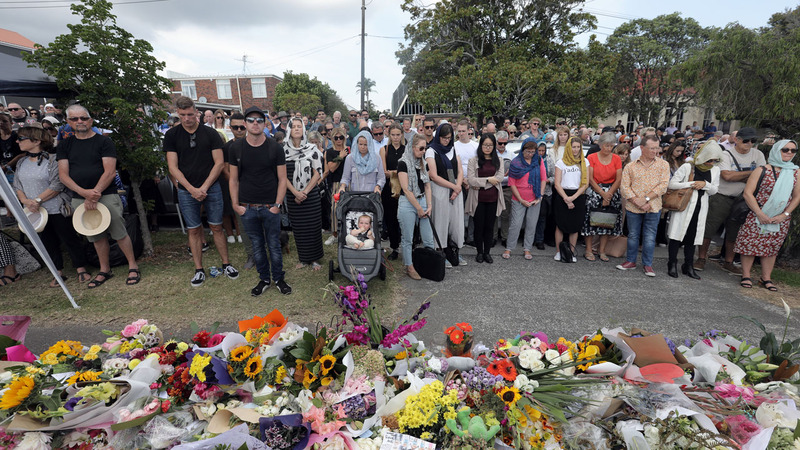 “It’s unbelievable looking at the crowd here, thousands of people gathering behind us during prayers,” said Khan, a 36-year-old businessman who flew down from Auckland to attend the service. A queue of worshippers waited for pictures with the three Maoris — men in prayer caps and long tunics, veiled women and young children squealing with delight as the trio put on their most frightening war faces. The crowd reflected the sheer diversity of those affected by last week’s devastating attacks. At the front, divided into male and female sections, were those hit the hardest — thousands of Muslim worshippers facing the mosque for prayers, including survivors and relatives of those killed. Many of those attending said New Zealand had been forever changed by the murders — but in a way that would only bond people together. “The country is united in this and nothing is ever going to break it,” Christchurch local John Dale, 59, said, accompanied by his partner Shirley, who had decided to wear a white headscarf. Mohamed Nadir lost his brother Mohammed Daoud Nabi, the 71-year-old gunned down reportedly greeting his killer with the words “hello brother”. “They’re hurting, they need us, so the least we can do is to stand beside them,” Wood, a Christchurch local, told AFP. She described the huge number of non-Muslim women wearing headscarves for the day as a “beautiful” gesture.